My day started with this message. Most people I know love Chocolates (and chances are, you too) and when a day is dedicated to this, it ought to be celebrated. Chocolate Day is 2nd day of the Valentine Week. 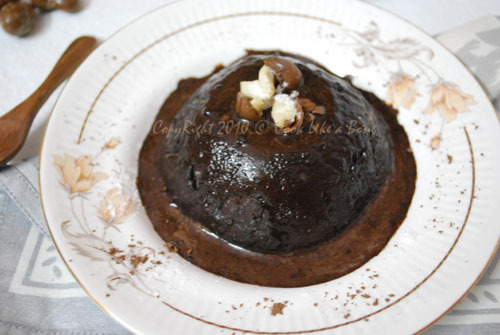 As promised, each day of the Valentine week, I would post recipes befitting the occasion. I started with Matar Paneer with a Bengali twist on the Propose Day, and here’s chocolate cake for the C-Day. Uh oh, not so soon. Before jumping to the recipe, lets talk about Chocolate for a little while. No, seriously. You may be surprised to know that Chocolate has its own share of benefits. Note: Indulging in chocolate doesn’t mean watching this movie. is a convection microwave needed for this recipe or a normal microwave (without convection) will do? I really want to try this.. I tried it without a convection microwave and it turned out pretty good. But, you shouldn’t expect it to be too spongy like the ones which comes out of the baking oven. such fabulous cake..i am already drooling over it.. Such a beautiful and delicious chocolate cake..yumm!